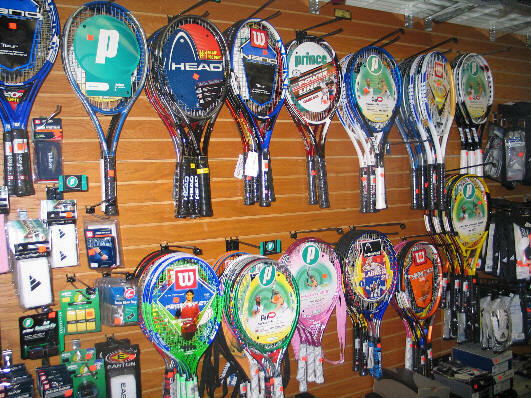 We carry Prince, Wilson and Head Tennis rackets from youth sizes 21'' 23'' and 25 '' to standard 27'' for adults, tennis balls are $2.99 and we re-string tennis rackets any where from $15 to $38 depending on the string you pick out. Copyright 2010-2018 Champions Sporting Goods. All Rights Reserved.